get your Easter Doggie Bags - These can be puschased as a once off! You want the best for your dog and you have probably been confused over mixed messages when it comes to buying healthy treats. You may have been frustrated trying to decipher labels that that do not match the promises made. Then you bought it, took it home and your dog tells you to stick it in a deep hole in the garden. We will change all that! No more guesswork, no more unhealthy treats and no more big holes in the garden. We deliver natural, healthy tasty treats every single time. That's a promise. My doggie bag treats are 100% New Zealand made, 100% additive and preservative free and you guessed it they are 100% tasty. They are suitable for dogs with allergies, old dogs, puppies and everyone in between. Every doggie bag includes training treats as well as healthy chews. All our treats have been tested by numerous four legged taste testers and have the seal of approval to be worth begging for! You will be able to shop with confidence. In fact you will not ever have to worry about making the wrong choices for your dog again. We do all the testing for you and we deliver the best doggie treats you can lay your paws on - directly to your door. So hurry and Sign up today! Your dog will thank you for it! You sign up and we deliver every month to your door. My doggie bag is packed with natural treats, free inspirations, training tips and a special surprise on your dogs birthday! Suitable for small to medium size dog. 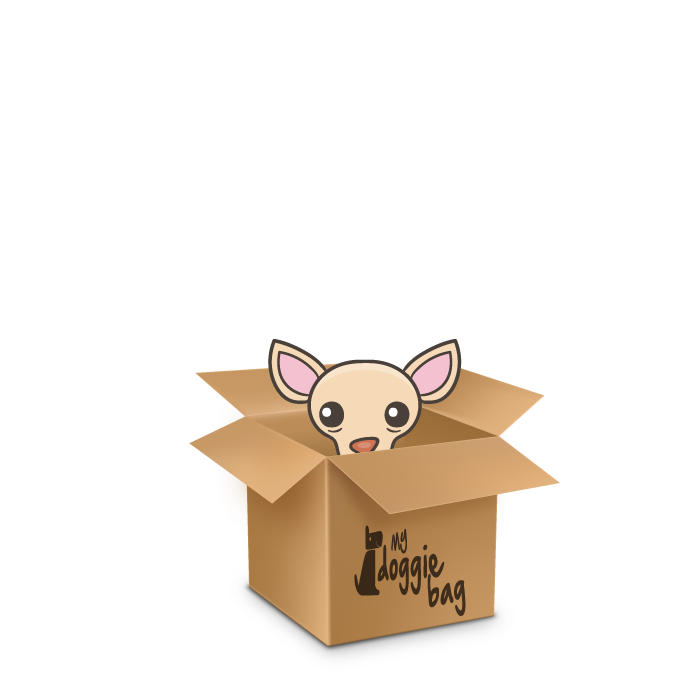 Our treatbags are specially chosen for small or fussy dogs. This box is ideal for hungrier medium size dogs or for households with more than one small dog.